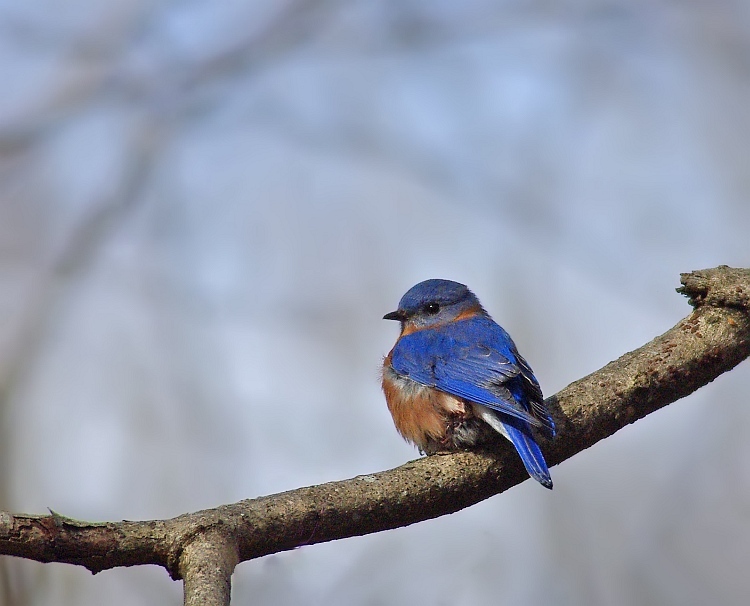 With cooler weather and nearly all the leaves down, it's easier to spot the little birds in the forest openings. And we are seeing plenty of northern birds who have joined us for the winter. But the Mockingbirds are still shy. They seem to get bolder later in the winter - or maybe just hungrier! This one would not come out in the open - all the oof branches probably ruin the shot, but he's so cute.. What do you think? 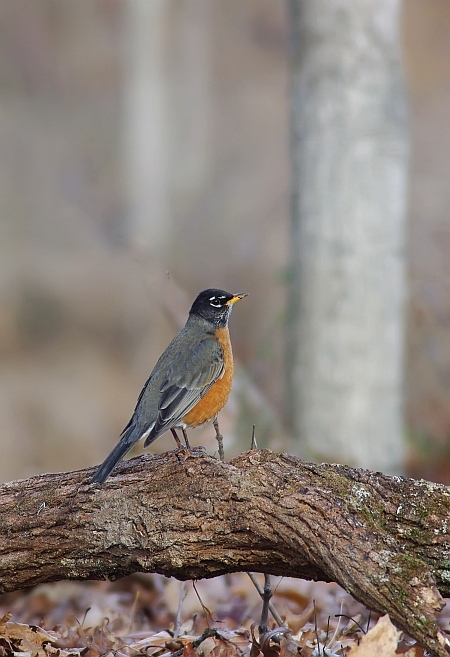 During the warmer season, our American Robins are out on the lawns and field. Cold weather seems to send them into the forest - perhaps to avoid the wind, or perhaps to find some different foods. 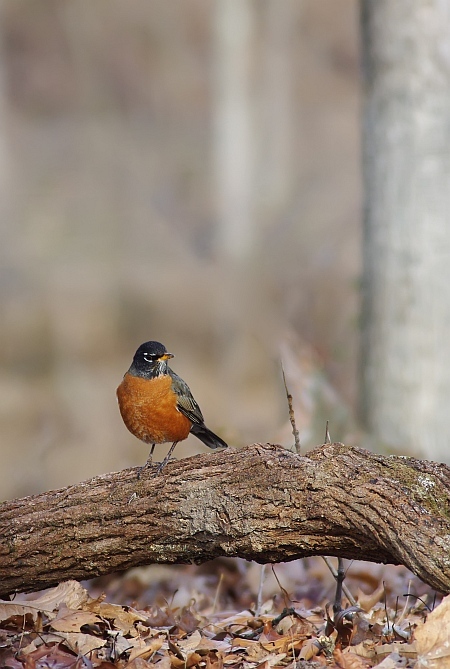 This was one of a flock enjoying some respite from the wind in a small sunny forest opening. 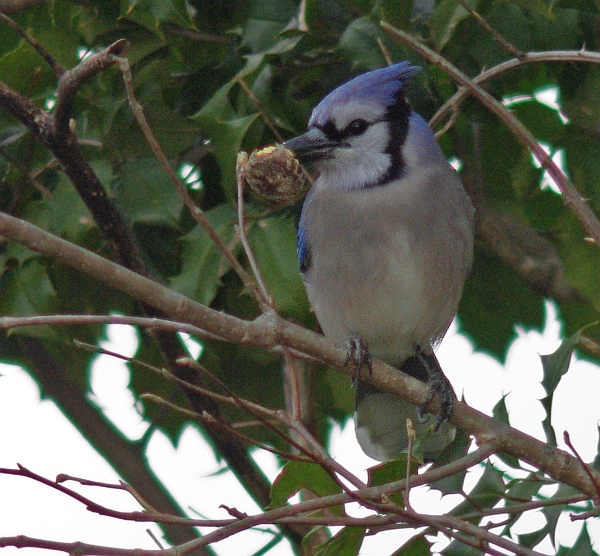 This Bluejay was busy with some partly-eaten acorns. We've had a GREAT acorn crop, so the squirrels are a bit more picky, leaving the less tasty bits behind. 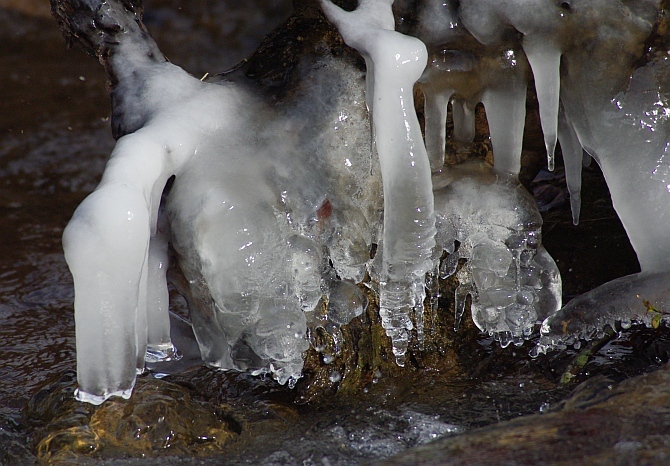 Cold spell continues, with plenty of ice in the streams. I plan to visit a few nearby waterfalls in the next day or two, to get some frozen falls photos. 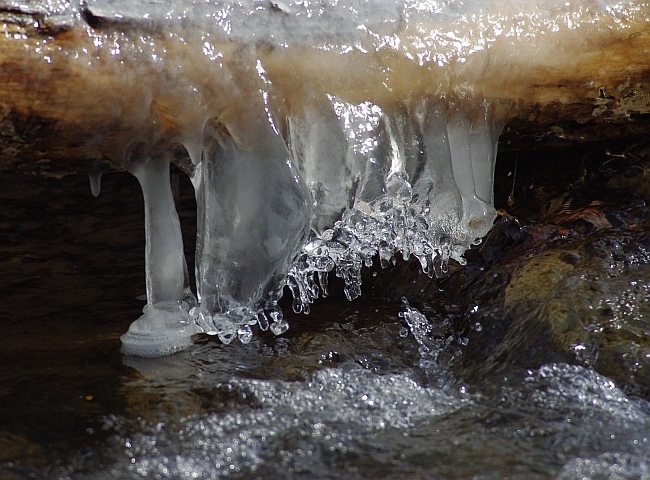 Until then, here are a few shots of stream ice here in the home park. 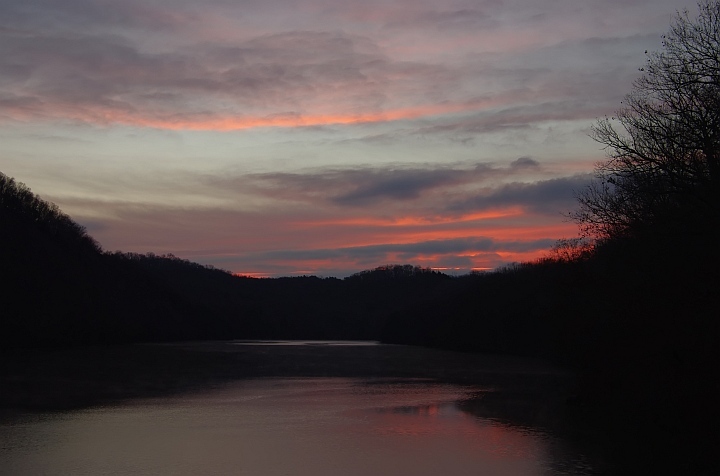 Sure hope you enjoyed these glimpses of our cold, almost-winter days. Thanks for any comments, critique & suggestions! The ice shots are something quite different - I really like them. There's not much for streams around here - the one that reliably has water isn't accessible in winter. 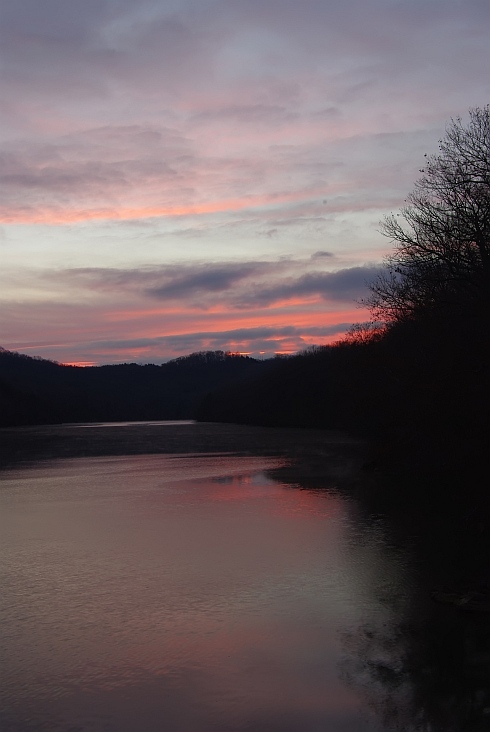 All other streams either don't reliably have water in them or else they are too low to freeze. 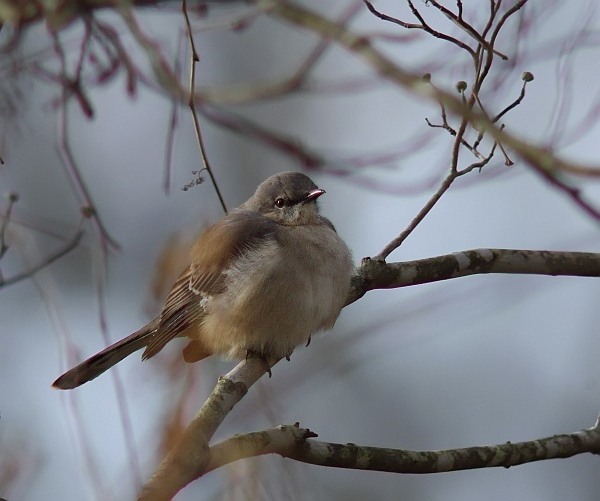 Your mockingbird sure looks cold, all puffed up. Great shots .... 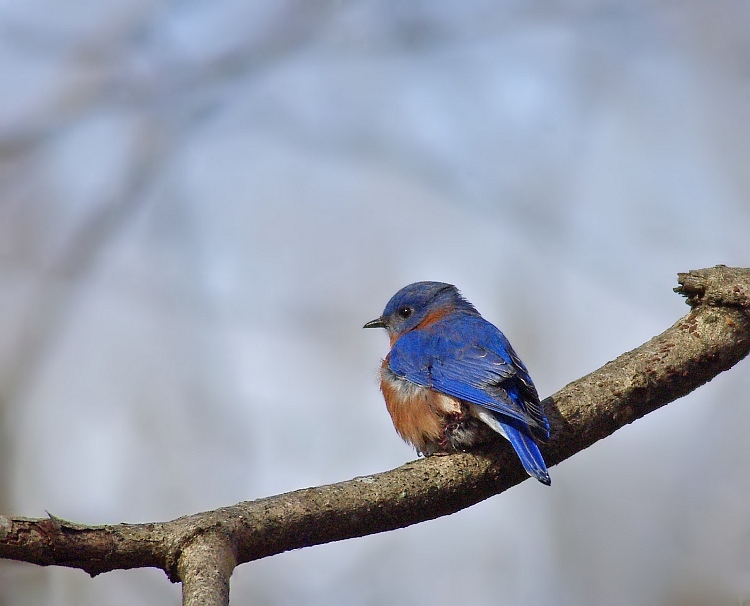 I guess it's always greener on the other side, I wish we also had bluebirds, mocking birds, blue jays. That first Ice shot is my fav. Amazing series! Those shots of the birds are spectacular! 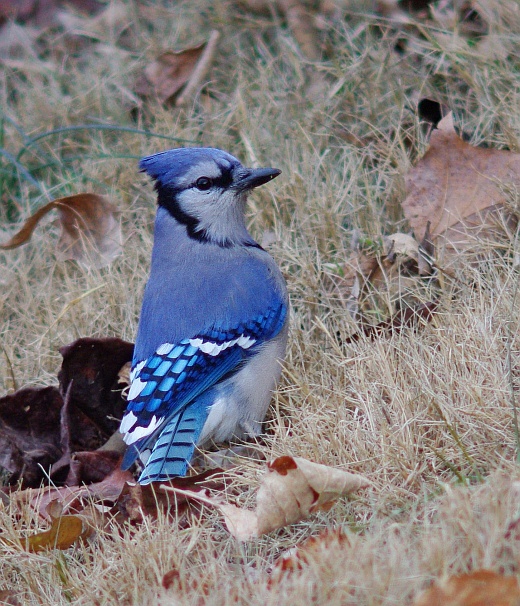 Mole, great color on the bluebird and a fine pose on the first blue Jay. Great series as usual with fine Ice and sunset shots.